iPhone game with the balls to say ‘Oi!’ against openness enforcers. When Gmail prompted Dutch designer Richard van Tol for the umpteenth time to enter his phone number while logging in he decided to turn his growing concerns about connectivity imposition into an iPhone game. “It’s not that we are against connectivity or openness”, explains his Creative Heroes-colleague Sander Huiberts, “it’s just that strategies of companies such as Facebook and Google are becoming more invasive and aggressive – opening up is increasingly enforced upon you. 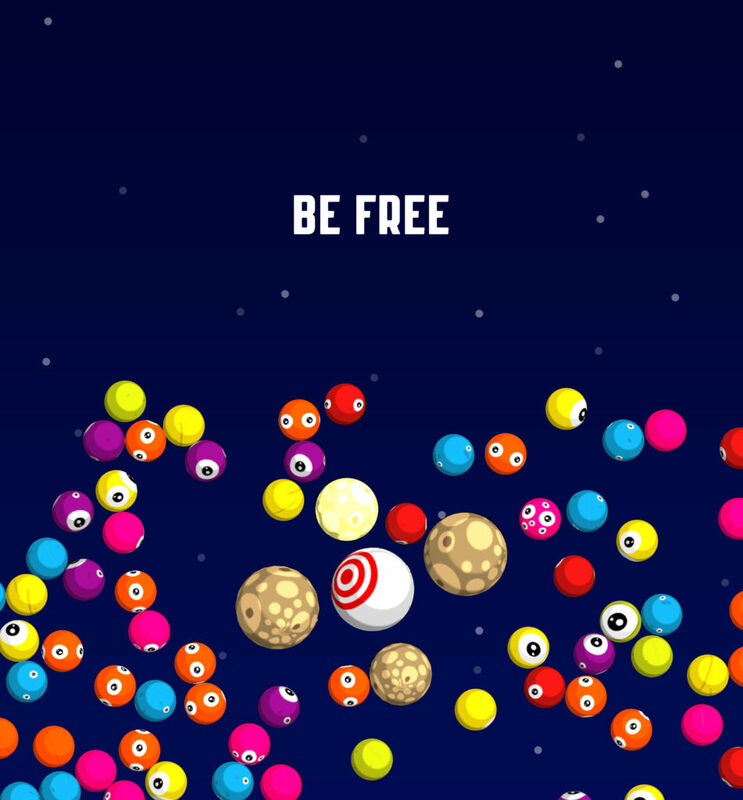 Their game Gluddle was designed to raise privacy awareness in a fun and playful way. In the game players try to defeat a totalitarian invasion named The Supervision, who loom down on the colorful folk of Gluddle (who say ‘Oi!’ a lot) in a continuous pursuit for order and control. Players are intentionally given limited control over their individual Gluddle, whose real strength is in their number. “Control is essentially the keyword. Our view is that your personal data is similar to your other data, say, your body. The responsibility to care for your physical well-being gives you the right to choose to donate your blood, kidney or bone marrow. Likewise, the choice of being a data donor should start with you, and such a choice should never be imposed on you or even be decided for you.